Peeling Potatos was never easier!!! 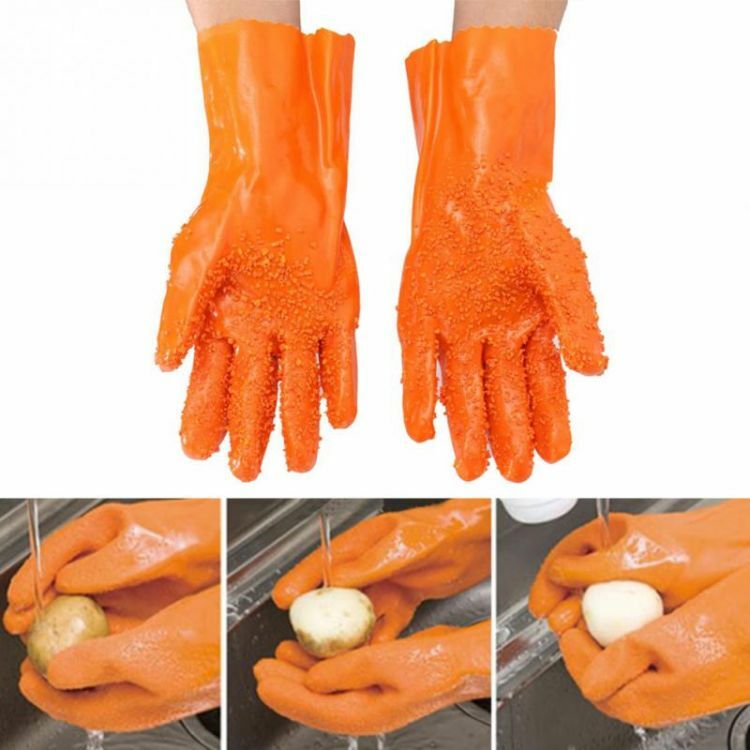 The gloves can not only peel potato, but also all kinds of food, like fish scale, yams, carrot and so on. With that food edible grade Latex you don't have to worry about anything. With the rough surface, you can peel the potato perfectly.